With November 8th on the horizon, one magazine is not just urging its readers to vote, but also endorsing a presidential candidate. "Vogue endorses Hillary Clinton for president of the United States," reads a statement from the fashion magazine. "Vogue has no history of political endorsements. Editors in chief have made their opinions known from time to time, but the magazine has never spoken in an election with a single voice. Given the profound stakes of this one and the history that stands to be made, we feel that should change." 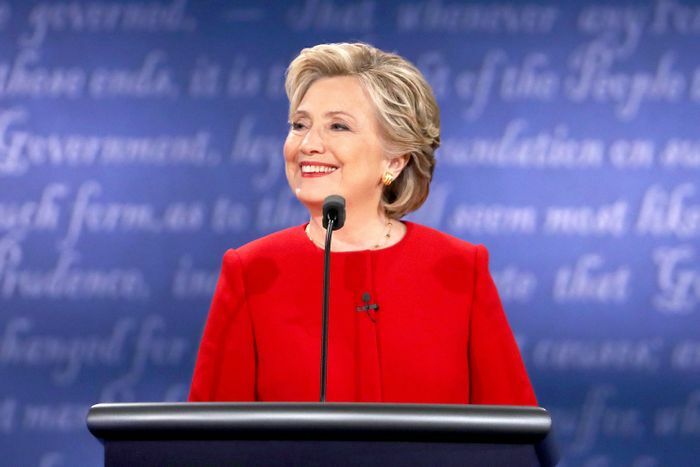 The Condé Nast publication joins the growing number of media outlets, including The New York Times and The Washington Post, supporting Clinton, and the endorsement doesn't come as a big surprise. Vogue Editor in Chief Anna Wintour has been a longtime supporter of the Democratic Party and Clinton, most recently by hosting a New York Fashion Week fundraiser for the candidate and serving as a style consultant during the campaign. While the magazine has profiled Donald Trump's three wives and eldest daughter, it has covered Clinton "enthusiastically" over the years. Going on to explain its major decision, Vogue praised Clinton's experience responding to global crisis, commitment to the middle class, and dedication to working on Obama's healthcare reform. Remember, in some states, there is still time left to register to vote! Read more about Vogue's endorsement of Hillary Clinton and shop the collection of "Made for History" T-shirts designed by fashion's biggest names.